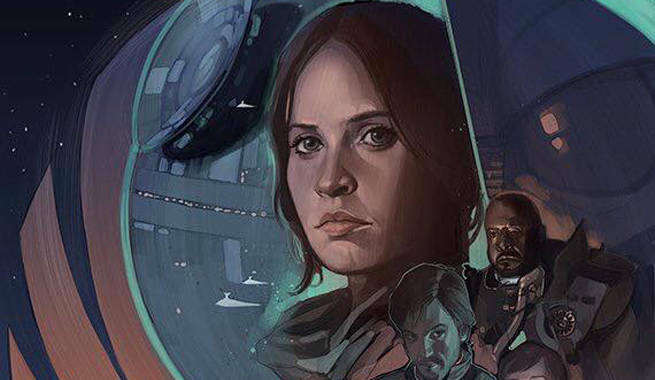 The Rogue One prequel comic announced by Marvel Comics has been canceled. All previous orders for the book have been canceled by retailers, including Amazon, who sent out notices about the pre-orders no longer being able to be fulfilled. The book is also no longer available for pre-order at Amazon. Announced at C2E2, the story was meant to be a 3 issue series, plus a one-shot, though it now seems the story is on an indefinite hold, or canceled altogether. For now, the Rogue One comic is not happening. Marvel Comics had no comment on the cancellation at press time. Rogue One: A Star Wars Story is in post-production now for a December 16, 2016 release.The film, the first of the stand-alone movies in the Star Wars universe, will tell the story of how the ragtag group of rebels (led by Jyn Erso) retrieved the plans to the original Death Star, leading to the events of Star Wars: Episode IV - A New Hope.